Regarded as the birthplace of the Italian Renaissance, Florence (Firenze in Italian) is a world-renowned city located in Tuscany (Toscana), Italy. With its breath-taking architecture and its historic center, Florence attracts millions of tourists every year and has become one of Italy’s most popular destinations. The weather in Florence is rather hot and humid, especially from June to August. The best time to visit the city is from early April to late June. Check out this map of Florence to get an idea of the layout of this fabulous city. Ever thought of spending your vacation in Florence? Let us help you explore this city that lives and breathes history! The Basilica di Santa Maria del Fiore (Il Duomo): The Basilica di Santa Maria del Fiore (known as the Duomo di Firenze) is one of the largest cathedrals in the world. With its beautiful red-tiled dome and its breathtaking ceiling fresco, painted by Giorgio Vasari, the Basilica is one of the major sights of the city and attracts huge numbers of visitors each year. The Galleria degli Uffizi: the Galleria degli Uffizi (Uffizi Gallery) is one of the world’s most famous museums. It houses works of art by many notable artists, including Michelangelo, Botticelli and Brunelleschi. You can also admire a lot of famous paintings, such as The Birth of Venus and Madonna in Sorrow. The Ponte Vecchio: the Ponte Vecchio (Old Bridge) is the oldest and most famous bridge that spans the River Arno in Florence. Originally inhabited by butchers, the bridge is now housing jewelry shops and souvenir stores and attracts a lot of shopaholics and tourists. During World War II, all Florence bridges were destroyed by the Germans expect the Ponte Vecchio which they considered too beautiful to blow up. The Accademia di Belle Arti di Firenze: The Academy of Fine Arts in Florence (Accademia di Belle Arti di Firenze) is a cultural institution which houses world-famous sculptures, such as Michelangelo’s David and Unfinished Slaves. The Campanile di Giotto: the Campanile di Giotto is commonly referred to as the Giotto’s Bell Tower, although Giotto only completed two of its levels. Adjacent to the Basilica di Santa Maria del Fiore, it is one of the most notable attractions in Florence. From the top of the tower, you can enjoy a breath-taking view over the city. The Piazza della Signoria: The Piazza della Signoria (literarily the square of the medieval government) houses the Palazzo Vecchio (Old Palace) which is the town hall of Florence and one of the city’s most famous public places. While visiting the square, make sure to take a look at the copy of Michelangelo’s David. The Palazzo Pitti: The Palazzo Pitti (Pitti Palace) was owned by the Medici family, which once controlled the city of Florence. It has now been converted into a museum which houses the family’s private collection. Enjoy the Galleria Palatina (the Palatine Gallery) which hosts some of Raphael’s masterpieces. The Battistero di San Giovanni: The Battistero di San Giovanni (Baptistry of Saint John) is renowned for its artistic bronze doors and its marvelous mosaic ceiling which will surely catch your eyes. Celebrating New Year’s Eve: Feeling bored on New Year’s Eve? Want some change? Then make plans to enjoy New Year’s Eve in Florence. To celebrate the New Year, the city hosts a lot of free concerts. Attending the Florence Chocolate Festival: In February, Florence hosts the Fiera del Cioccolato (Chocolate Festival) in Piazza Santa Croce (Square of the Holy Cross). Come taste traditional Italian chocolate! Enjoying the Festa della Rificolona: The Festa della Rificolona (Festival of Lanterns) is one of the biggest events in Florence. Taking place in September, the festival features children walking with crafted lanterns (called rificolonas). Attending the Pitti Fashion Show: Considered the birthplace of celebrated fashion designers (Gucci being one of them), Florence hosts the Pitti Fashion Show, a popular attraction that attracts many travelers and celebrities to the city. With its elegant architecture and its wonderful works of art, Florence is always ready to welcome tourists. The city’s amazing sights, its enticing Italian cuisine as well as itsarchitectural masterpieces will make your holiday in Florence unforgettable. 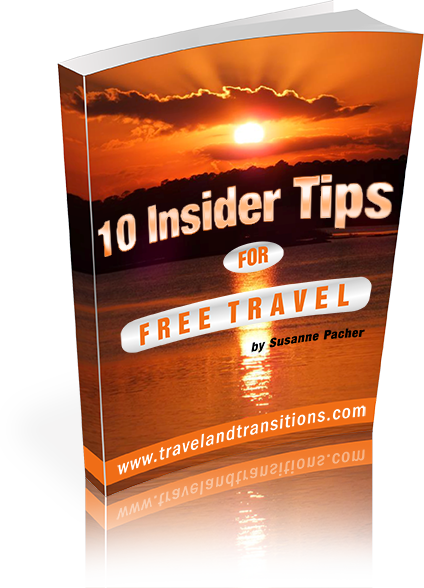 Please check out our website for all sorts of travel advice and first-hand travel stories. Have a peek at our article collection from our trip to Sicily in 2007. Take a look at our 2010 trip to Rome. Feel free to contact us if you ever need professional Italian translation services.